Personal care and cosmetics stand for the beautification and care for our skin and serve the conservation of the beauty of the human body. Natural and sustainable raw materials such as SENSOCEL® fibres, powders & scrubs are gaining a significant importance for cosmetic products not only because of their high functionality and skin compatibility but also because of their environmental friendliness. Skin and beauty care benefit from the properties of their natural components. Cosmetics support the stimulation of our elemental dermal functions. Natural ingredients provide gentle and soft care for the health maintenance of our skin. The application of skin- and ecofriendly raw materials allows the fulfilment of the high standards of modern, natural and especially skin friendly care. Besides the careful selection of raw materials the ecological compatibility of the products, efficient production methods and high bio-degradability of raw materials play a vital role for today`s cosmetic industry. The global discussion on the ban of very small plastic particles, so-called microplastics, in peelings or toothpastes is just one topic that urges cosmetic producers to go with the trend towards more naturalness. SENSOCEL® natural fibres are an ecofriendly alternative to replace microplastics such as polyethylene (PE), polymethylmethacrylate (PMMA) or nylon. All SENSOCEL® cellulose fibres are bio-degradable, sustainable and gentle to humans and nature. 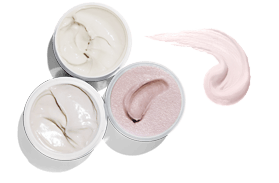 Based on the cosmetic application and targets, various ingredients are available within the SENSOCEL® range. All SENSOCEL® celluloses are INCI (International Nomenclature of Cosmetic Ingredients) listed. Learn more about our SENSOCEL® plant fibres and their possible applications in cosmetic products. Please contact us for our support in case you have any questions or require further information!